These Garden Resin Folding Chairs feature a UV-stabilized polypropylene resin and slatted seat with a white frame finish, making it comfortable while sitting. 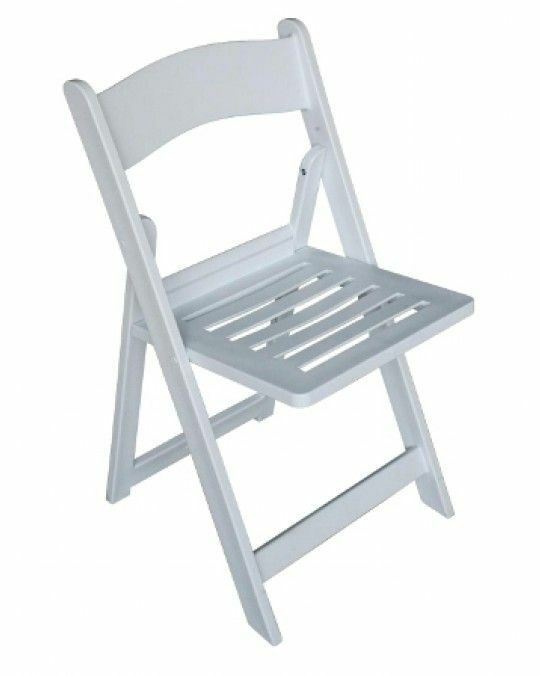 The Folding Chairs are great for dining and relaxing and are ideal for conference and break rooms, weddings and other upscale events. These chairs are easy to clean, lightweight, and easy to fold and stack.